We are always interested in hearing from anyone that has a similar passion for cars, classic cars, supercars and hypercars, as we all do. If you’d like to join our team or be a guest writer, photographer, proof reader, or journalist, then get in touch with us. Our email address is at the bottom of this section..  If you’re looking to promote your brand, product, or a business, then get in touch with us so that we can discuss the options that will best suit you achieving your goals..
We run many competitions on the site throughout the year, so if you’d like to promote a product, brand or event, running a competition on MyCarHeaven is a great way to increase awareness of your brand, product or event. Get in touch to discuss the options that would best suit you. You can see previous competitions that we’ve run here. We love all things cars (except car tax and speed cameras), so if you have a car, car related product, book or anything else you want us to review, we’d be delighted to hear from you.